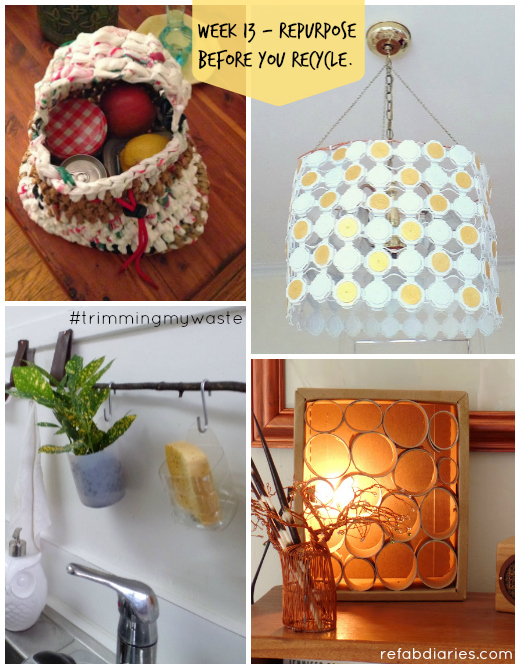 Read on for links to 40+ tutorials for upcycling common packaging items. As part of reducing my waste, I certainly aim to bring less packaging into my home. But there are some things that are hard to avoid, like the cardboard inners from toilet rolls. Or the odd shampoo bottle. Or the packaging on beer cans. Because yes, I enjoy locally brewed craft beer and I don't want to stop buying it. So here are LOTS of ideas to consider before you recycle. 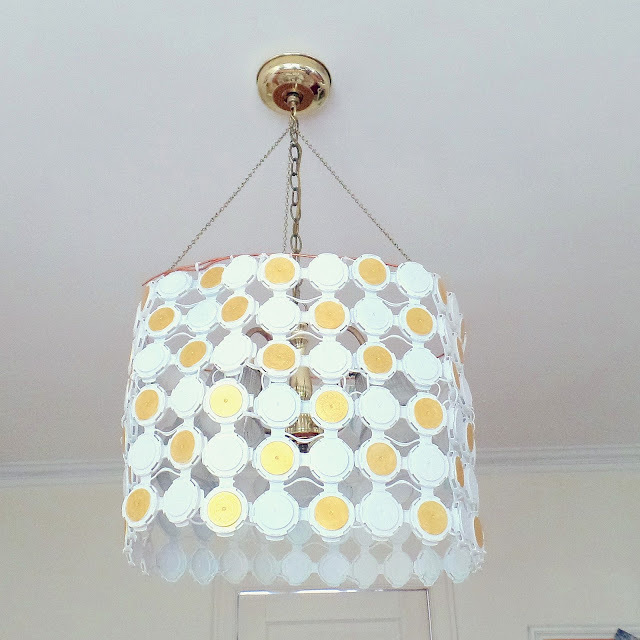 Pictured above is table lamp made entirely from cardboard packaging. Click here for the instructions. Find other ideas for upcycling cardboard inner tubes here and here. Perhaps you live in a city that's banned single-use plastic grocery bags (hooray!). Or perhaps you've now mastered the art of bringing along your reusable bags every time. That doesn't mean you aren't sitting on a pile of plastic bags... perhaps wondering what to do with them. Enter "plarn". Cutting plastic bags into strips that can then knit or crocheted into bags and rugs was a favorite craft of my grandmother's. For a round-up of fun plarn ideas, click here. Plastic bottles and caps are probably the hardest things to avoid if you aren't making all your toiletries and cleaning products. So here are lots of ideas for re-using them! 1. Make a kitchen organizer, as pictured above. And finally, don't forget the caps! You'd be surprised at the things you can make with them. Ideas here. And finally, the beer packaging. I call this my beer chandy and I love how well it hides the ugly light fixture in my apartment. Complete instructions here.